An introduction to the mathematical skills needed to understand finance and make better financial decisions Mathematical Finance enables readers to develop the mathematical skills needed to better understand and solve financial problems that arise in business, from small entrepreneurial operations to large corporations, and to also make better personal financial decisions. 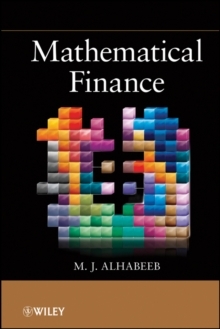 Despite the availability of automated tools to perform financial calculations, the author demonstrates that a basic grasp of the underlying mathematical formulas and tables is essential to truly understand finance. The book begins with an introduction to the most fundamental mathematical concepts, including numbers, exponents, and logarithms; mathematical progressions; and statistical measures. Next, the author explores the mathematics of the time value of money through a discussion of simple interest, bank discount, compound interest, and annuities. 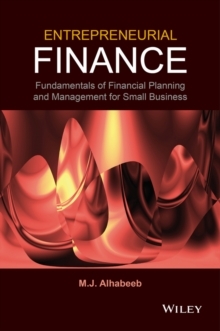 Subsequent chapters explore the mathematical aspects of various financial scenarios, including: * Mortgage debt, leasing, and credit and loans * Capital budgeting, depreciation, and depletion * Break-even analysis and leverage * Investing, with coverage of stocks, bonds, mutual funds, options, cost of capital, and ratio analysis * Return and risk, along with a discussion of the Capital Asset Pricing Model (CAPM) * Life annuities as well as life, property, and casualty insurance Throughout the book, numerous examples and exercises present realistic financial scenarios that aid readers in applying their newfound mathematical skills to devise solutions. The author does not promote the use of financial calculators and computers, but rather guides readers through problem solving using formulas and tables with little emphasis on derivations and proofs. Extensively class-tested to ensure an easy-to-follow presentation, Mathematical Finance is an excellent book for courses in business, economics, and mathematics of finance at the upper-undergraduate and graduate levels. The book is also appropriate for consumers and entrepreneurs who need to build their mathematical skills in order to better understand financial problems and make better financial choices.